The Southern Ocean is back to saving mankind after stalling years ago -- but is it enough to save mankind? A surprising new study has found that the Southern Ocean is soaking up atmospheric carbon dioxide like a sponge in the past decade after years when it looked like it had lost the ability to do so at all. The first decade of this century indicated that the Southern Ocean appeared to have lost its ability to absorb greenhouse gases, or at least it was weakening, something that greatly worried scientists — but take heart, a new study indicates the Southern Ocean is back to absorbing that CO2, according to a Christian Science Monitor report. 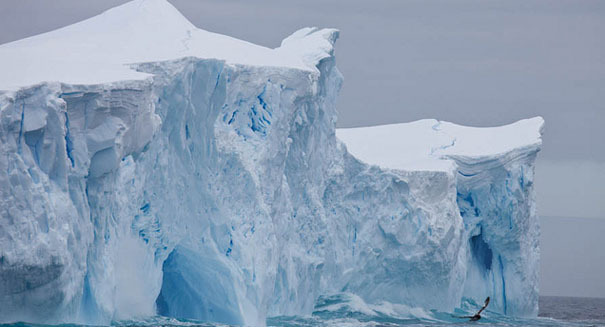 The research, which was published in Science Magazine, found that the Southern Ocean’s ability to absorb CO2 had surged once again. And that’s a good thing, because the ocean surrounding Antarctica soaks up 40 percent of all man-made emissions, preventing them from sitting in the atmosphere and causing it to warm up. This slows down the pace of climate change and global warming. Known as a “carbon sink,” without it there would be much more CO2 in the atmosphere and temperatures would rise much faster. Despite the positive news, scientists don’t think it will continue forever. So what is driving the new trend? Probably changes in winds and temperatures in both the Pacific and Atlantic oceans, according to the report. Researchers made the findings by examining the levels of CO2 in surface waters since 1982, and they also used satellite observations of sea water temperature. The findings indicated that the carbon uptake in the Southern Ocean actually started to revive starting in 2002 and definitely by 2012. But just how long will this higher absorption of carbon dioxide last? Scientists don’t know, and that’s the concerning thing. If the carbon sink suddenly ends or even gradually disappears, it will be catastrophic for humanity as global warming then continues out of control.